DIY liquid hand soap is not only super easy to make, it will save you a lot of money without subjecting your body to harsh and potentially dangerous chemicals found in most commercial liquid soaps. Learning how to inexpensively make your own DIY liquid hand soap, laundry soap, shampoo, conditioner, and body wash (all of which use nearly identical ingredients) will keep your body, clothing, washcloths, towels, and bedding clean to help prevent the spread of germs and diseases. Typically, a store-bought bottle of liquid soap would cost about $3. You can make it yourself at home for only around $.50 per bottle. If you go through two bottles of liquid hand soap per month, that would be a savings of $60 a year, on average. 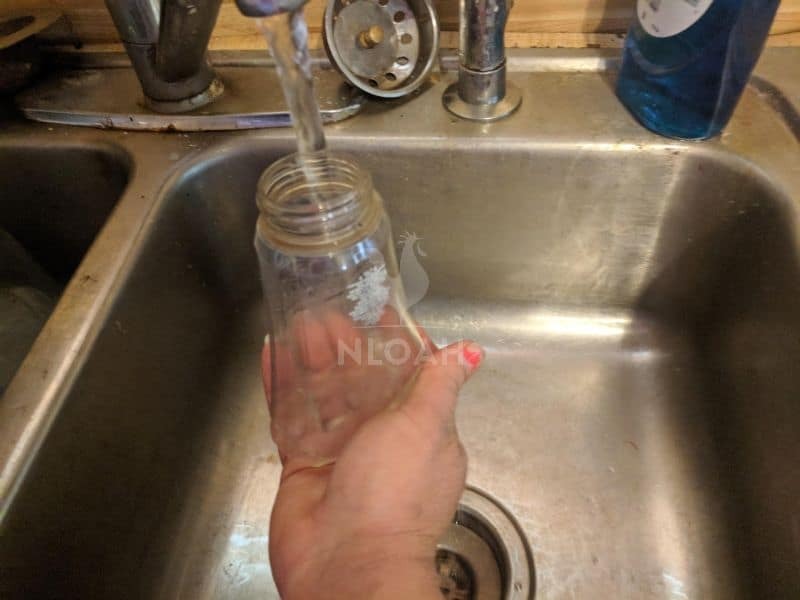 On our homestead we go through a bottle of liquid hand soap once a week. Although Castile soap is the most often recommended type of soap to use when making liquid hand soap or laundry soap, it is entirely fine to use other natural ingredient and vegetable fat-based bar soaps as well. 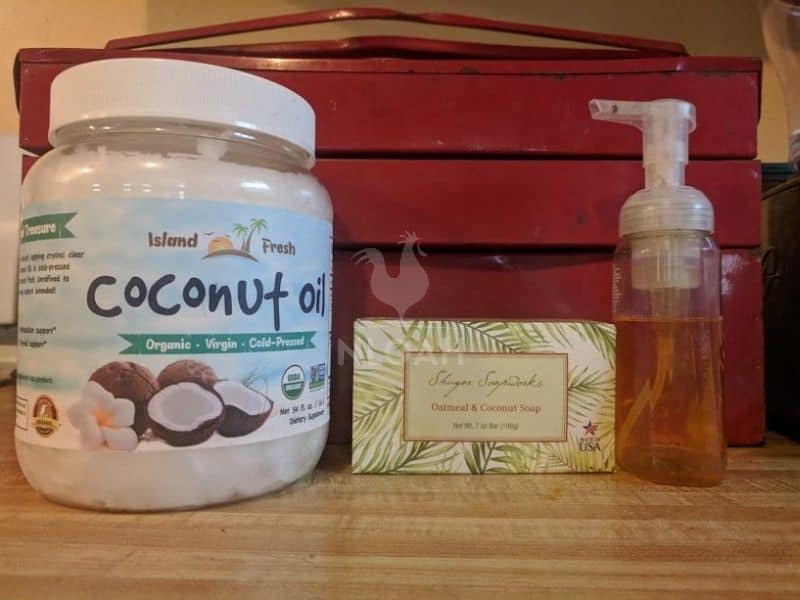 Adding coconut oil and/or using coconut oil-based soap will add more healing properties to your soap as well as creating a hand cleaner that will increase the moisture content of your skin. 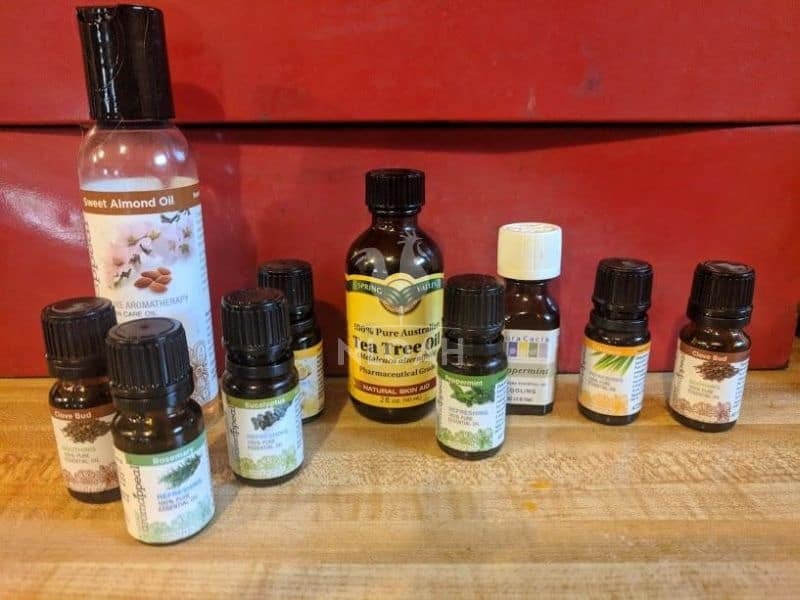 It is even easier and cheaper to make your own natural and powerful cleaning products than it is any of the DIY liquid hand soap recipes listed below! 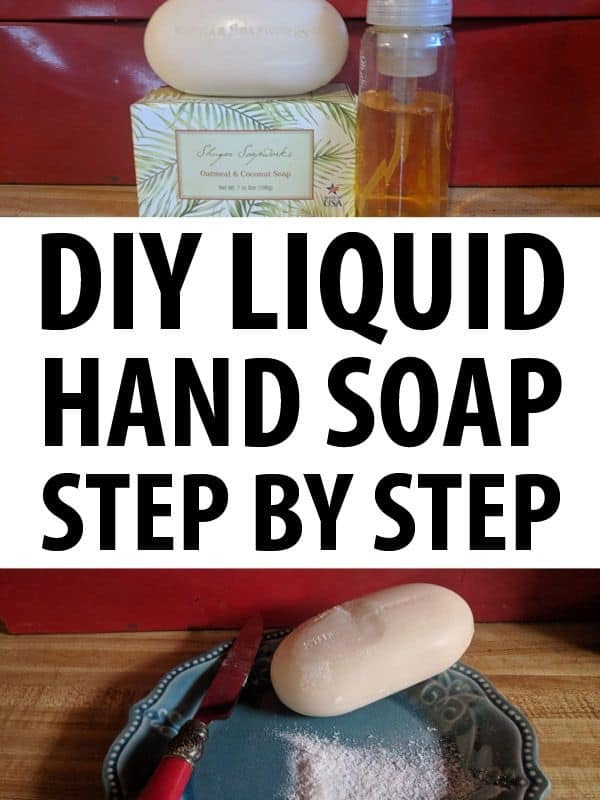 Most DIY liquid soap recipes (and soap recipes in general) you will find on the internet call for either Castile soap or liquid Castile soap. 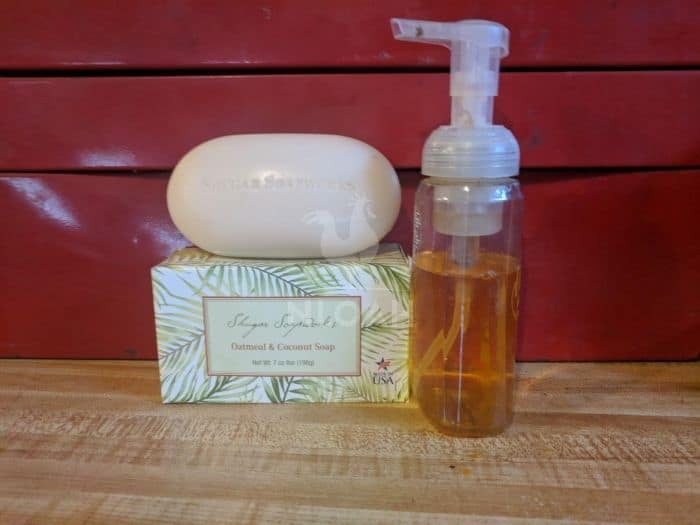 While castile soap has a copious amount of uses, it is not always easy to find, If you live in a rural region like I do, it is impossible to find either and you have to resort to buying online and sometimes paying a fairly steep price, in the process. What Is Castile Soap, Anyway? Castile soap is merely a concentrated and natural vegetable-based soap. It is a hard white or mottled and fine soap made from sodium hydroxide, olive oil, and sometimes hemp oil, almond oil, avocado oil, or coconut oil. The soap cot its name from where it originated – Castile, Spain. 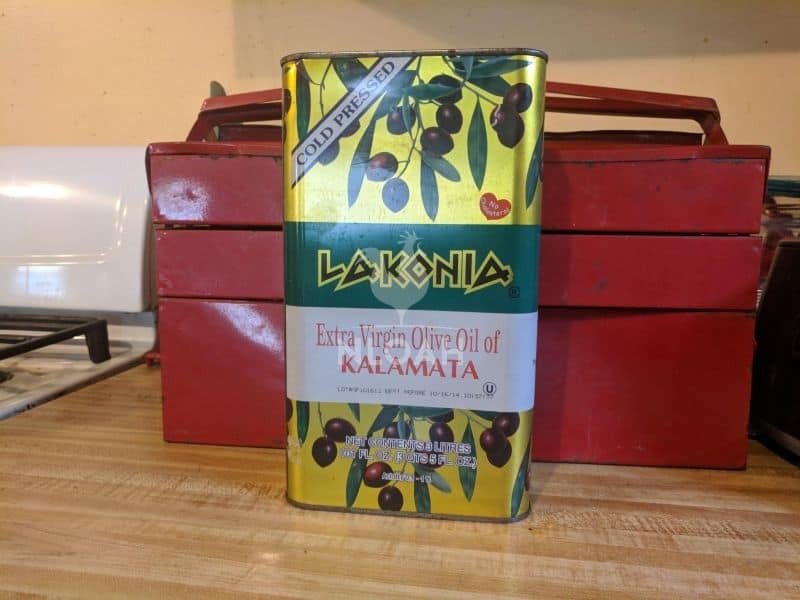 It is sold in both liquid and bar forms, and is always made from vegetable and not animal fats. Castile soap registers at around 8.9 on the pH scale, make it a more alkaline type of soap. The soap has about the same alkaline level as baking soda. The grease grabbing ability of Castile soap make it ideal for cleaning pots and pans, stove tops, and oven hoods. It is also often used in DIY household cleaners designed to remove dirt, grit, and germs from commodes, countertops, bathtubs, and sinks. Castile soap is non-toxic and biodegradable. It is generally considered safe to use on children and pets. You can even wash your garden veggies with is as long as the soap is diluted enough. Fill you liquid hand soap dispenser half to three-quarters full with warm water and then pour the soap mixture in if you want to make foaming liquid hand soap. You will need a dispenser pump designed to create foam to make this type of soap. You can save a bottle of foaming hand soap you bought and the store and re-use it or order such a bottle online from suppliers who sell new containers designed for home soap, cleaner, and cosmetic making, for a fairly nominal price. Use a coffee cup and a funnel to pour your warm DIY liquid hand soap mixture into your dispenser. Allow the mixture at least 15 minutes to cool before pouring it into a plastic container. If the mixture is too hot, it can melt the plastic container and the stem on the hand pump. 1. Goat’s Milk – It exfoliates the skin, softens the skin, and is infused with vitamins A and D – as well as other beneficial nutrients. 2. Coconut Oil – This versatile oil boasts a host of healing and skin repairing properties. 3. Canola Oil – Like both coconut oil and olive oil, canola oil will moisture the skin and help protect it from wind and sun damage. 4. Glycerine – Vegetable glycerine is yet another viable alternative to using liquid Castile soap in DIY soap recipes. It will help infuse moisture into even damaged skin. 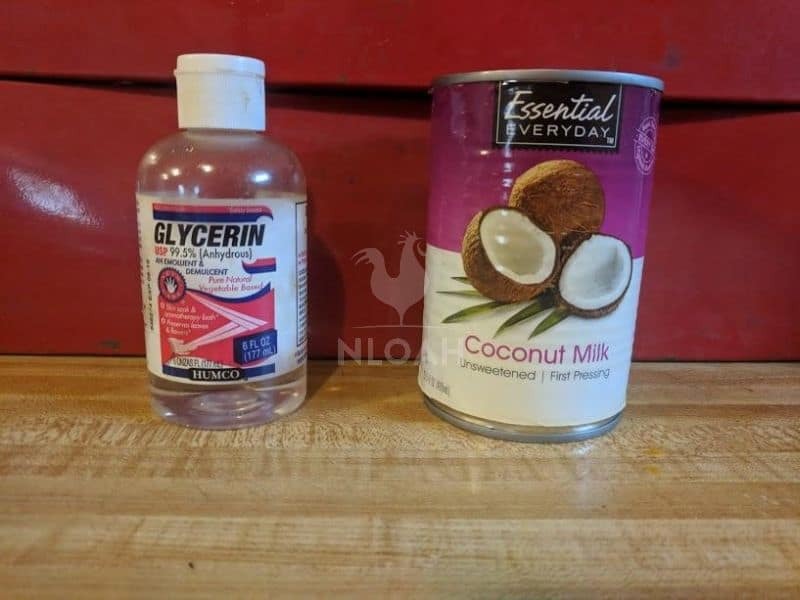 Both liquid glycerin and coconut milk make great Castile soap substitutes. I generally use coconut oil when making liquid hand soap and reserve my cans of coconut milk for making body wash and laundry detergent. • 10 drop each of lavender essential oil and tea tree oil – or your favorite essential oils. Tea tree oil is often referred to as “nature’s antibiotic” because of its germ cleansing and infection fighting abilities. All essential oils or high doses of them, may not be safe for either young children or pets. 1. Mix the Castile soap (or alternative) the water, and the essential oils together in a non-metallic bowl. 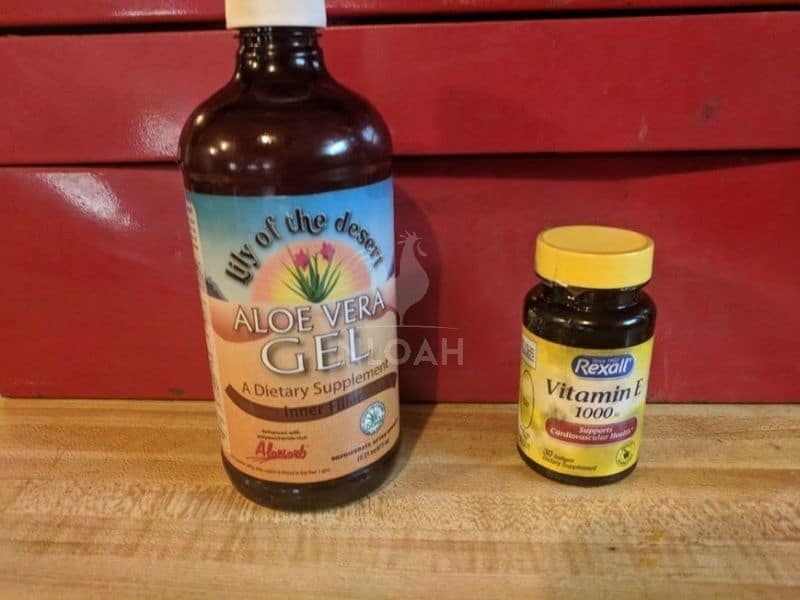 Cut open one vitamin E gel cap and use the liquid in your DIY liquid hand soap to increase its ability to add moisture to the skin and to heal damaged or dry skin. A tiny, maybe a quarter of a teaspoonful amount of aloe vera gel also infuses the homemade liquid soap with more skin healing properties. 1. Grate the bar of soap as finely as possible – running it through a food processor after chopping it into manageable pieces, is highly recommended. 3. Turn off the heat to the pot of boiling water. 5. 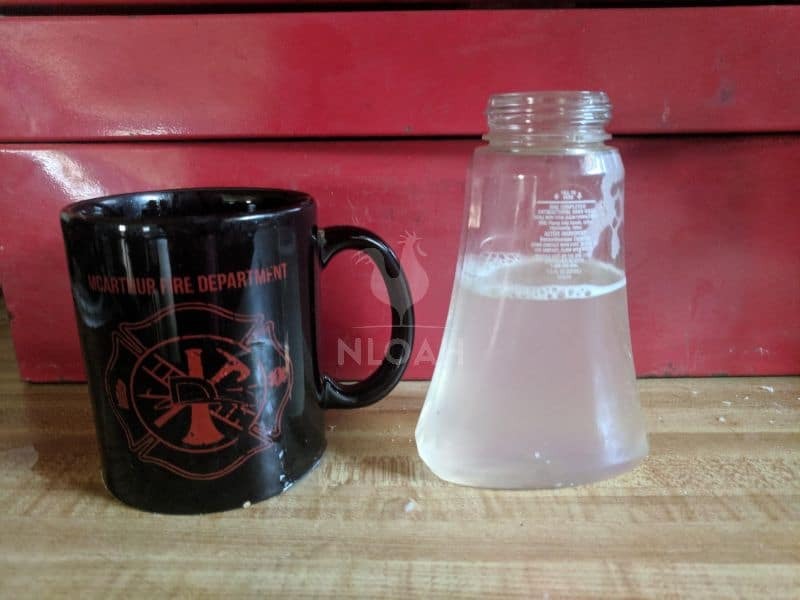 Allow the soap mixture to cool for about 15 minutes before pouring it into a plastic soap dispenser .- allowing the mixture to cool for several hours or even overnight, is fine. 1. Finely chop or grate the bar of soap. You should end up with a minimum of four ounces of soap. If you end up with less, chop up part of another bar. 2. Bring the water to a rolling boil. 3. Remove the pot from the heat source and stir in the soap particles. 4. Stir in up to 3 tablespoons of your favorite essential oils for scent and/or to make use of their healing properties. Again, some types and dosages of essential oils could be harmful to young children and pets. 5. Allow the mixture to cool for at least 15 minutes, but hours or overnight is fine too. Then pour it into your dispenser. Olive oil is the foundation of Castile soap and can be used as a substitute when a soap recipe calls for liquid Castile soap. Even if you are using liquid Castile soap, you can still add a little bit (up to a teaspoon) of olive oil directly too most recipe to yield a better final product. • The soap made from these recipes and likely many others, should keep for months at a time. 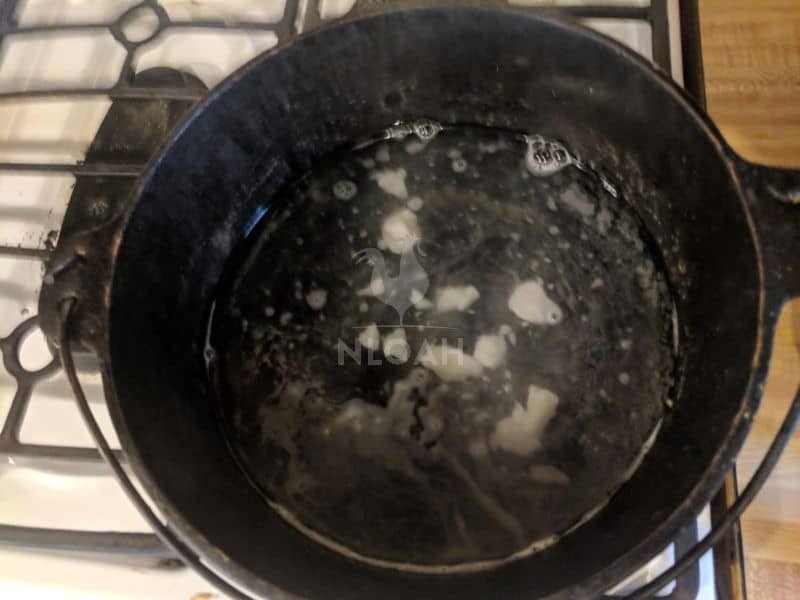 • If your recipe turns out too thick, bring it to a low boil again, while stirring frequently, and add a bit more water until the desired density is achieved. 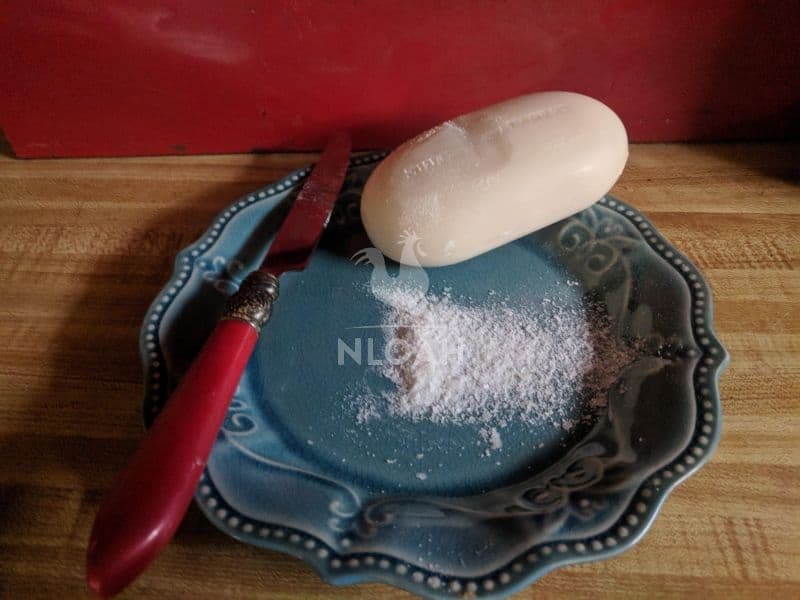 This is how fine you will need to grate a bar of soap when making liquid hand soap. You can use a cheese grater or a butter knife with a serrated edge, like I did. To finely scrape this much of the soap only took about 10 seconds. Scraping or grating a large bar of soap like the one in the photo could take up to an hour. Some folks prefer washing with foaming hand soap for various reasons. If you do not mind using a foam soap instead of a liquid version, you can save even more money on your annual soap expenses. One 64 ounce bottle of liquid hand soap (either homemade or store bought) will make around 128 bottles of foaming hand soap. When making foaming hand soap, you can use a liquid hand soap as the base recipe. 1. Fill an empty foam hand soap dispenser about halfway to three quarters full with warm water. 2. Pour in 1 tablespoon of your liquid hand soap. 3. Put the top back on your foaming hand soap dispenser and shake vigorously. 4. Push on the pump several times to initiate the foaming action – and wash your hands as normal. 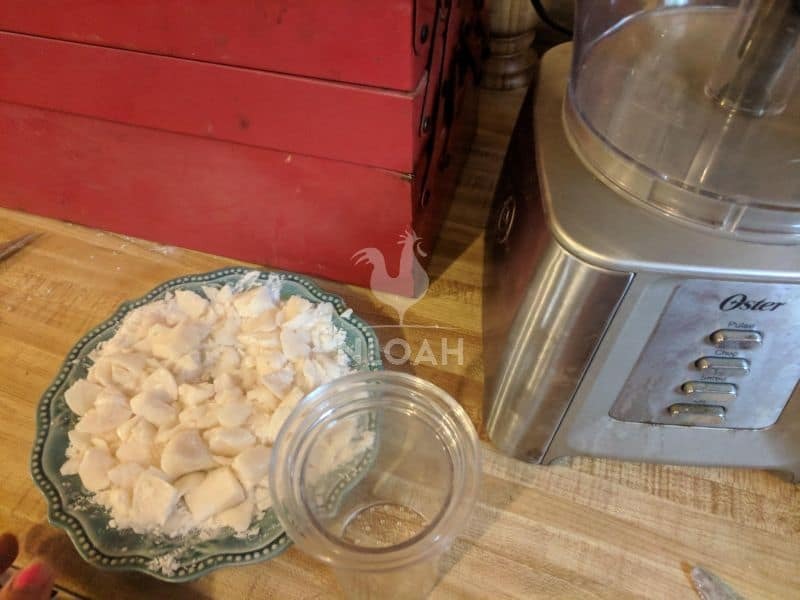 If you do not have either the time or the patience to scrape or grate an entire bar of soap, you can simply chunk the bar and feed it through your food processor. You can melt either shaved or grated soap flakes or chunks in a pot with boiling water. Melting chunks will take longer to dissolve than flakes, approximately five minutes longer. When using either soap chunks or flakes, make sure to stir constantly to avoid scorching or sticking. • Olive oil-based soaps often do not work well in foaming hand soap dispensers – they tend to clog the pump. • If you run out of DIY liquid hand soap to use in foaming hand soap dispenser, substitute your recipe with the same amount of Blue Dawn – it works great in a pinch. • Add a teaspoon of glycerin to any foaming hand soap recipe to increase its ability to infuse moisture into the skin. Making your own liquid hand soap typically does not take any longer than 15 minutes, providing you can use a food processor to grate your soap or are using liquid Castile soap and not a solid bar. I reuse the foaming soap dispensers by filling with water and adding a few squirts of dish soap. Thx for the recipe! Looking forward to the laundry soap one:) I’d wait til the soap cools to add the essential oils, as heat & light destroy some of their properties. I’m lazy… I save ends of bars of soap, break them up, and stick them into a re-used pump dispenser with some water and a couple of marbles, and just let it soften up. If it gets too thick, add some water and shake (the marbles help mix it up). If it seems too thin, add a sliver of soap. Self-perpetuating! what a great tutorial on making liquid hand soap;I’m thinking a great idea for holiday gifting.Would just like to say I appreciate how you put in that some essential oils are not good for pets or young children as many don’t know-as soon as I saw tea tree oil in the first recipe and a warning bell went off,you mentioned that not all essential oils are safe for young ones and pets-thanks for adding that.